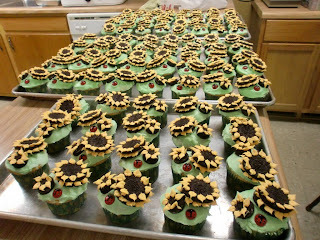 As promised, here's what 100 sunflower cupcakes look like all lined up in their sunflower field! It took the better part of the day Friday to get them all together, but it was SO worth it! And the best part is the ladybug! It's just an M&M and I used a little bit of decorator gel for the design. I was afraid it would look too simple, but I think it turned out great! 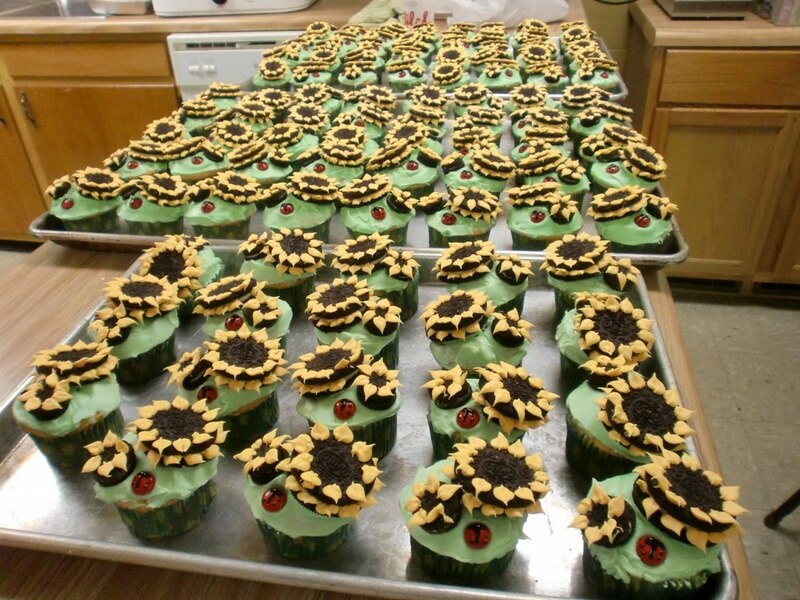 They went like hotcakes (or would that be warm cupcakes?) at the Ladies Jubilee on Saturday and the last few Sunday night at fellowship. What a blessing. 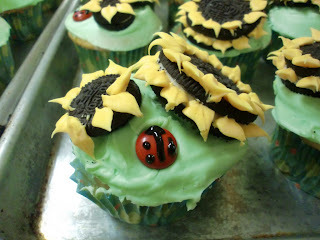 For more info on how to make these, check out last Thursday's post.